Learning is such a fascinating thing! It happens everywhere, all the time, but in the school settings we are trying to somehow box it in, so that the objectives are met and standards covered. Yet, in spite of the standardized approach, each and every student has a different experience of the very same class or lesson. In any given lesson or class, some students are engaged in their own learning process because they are inherently interested in the topic. Other students may just be attending to get it over with. These are the students we are losing, because they are only engaging in their schooling, not in their personal learning. But, how to help these students to engage in their own learning? One obvious answer is to make learning more personal. Personalized learning is built from individual identities, dispositions, values, attitudes and skills. Finding space for all these in the classroom is challenging! Providing choices for students is a good tool for emphasizing the learning process, because it allows students to apply their personal preferences, which most likely results in increased interest in the activity at hands. The learning process has two components that must be integrated for deep learning to happen: interaction (with the materials and peers) and acquisition of the content (Illeris, 2009, p. 9). A successful integration of content and interaction leads to personal construction of understanding, i.e. deep learning, because the student has situated the new knowledge into her/his existing understanding. Another student, who is just engaged in schooling not learning, may miss out the both components, and just be physically present in the classroom. Yet in today’s world, more than ever before, we must help students to become lifelong learners, who learn because they want to, not because someone tells them to do so. In addition to the two components of learning process, we also want to think about the dimensions of cognition, emotion and environment (Illeris, 2004, p. 82), because they create the frames of each individual learning experience. In school settings the focus of learning is too often very narrow, and only aims to transfer the content knowledge. But the way we acquire the content has a straightforward effect on how durable the resulted learning is. Shallow learning aims to passing the class or just getting out of it. Deep learning aims for understanding, and using the learned content in the future. What is problematic, is strategic learning, which aims to have good grades, without any interest in the content itself. This creates the phenomenon we know as summer learning loss. My own application of this learning theory is to use the 3Cs that help students to engage in their own learning. The cognitive approach creates the foundation, because students’ thinking needs to change – not just their behaviour. Cooperation guides the learning environment and classroom management decisions – and of course the interactions. Constructive tools focus on supporting students’ learning process to make learning meaningful and increase motivation to learn. Students’ learning motivation is based on their perceptions of learning and education in general, so it would be very shortsighted to aim for plain knowledge acquisition, and only focus on one of the three dimensions of learning. The successful learning motivation seems to require all three dimensions: cognition, emotion and environment. As a teacher trainer I have discussions with my students about their own motivation to learn. For adults it of course is also related to external rewards – usually masters degree gives a nice increase in the salary. But most of my teachers really want to learn more about learning and teaching. I believe that as professional educators we recognize the need to support personalized learning in the classroom. Illeris, K. (2004). 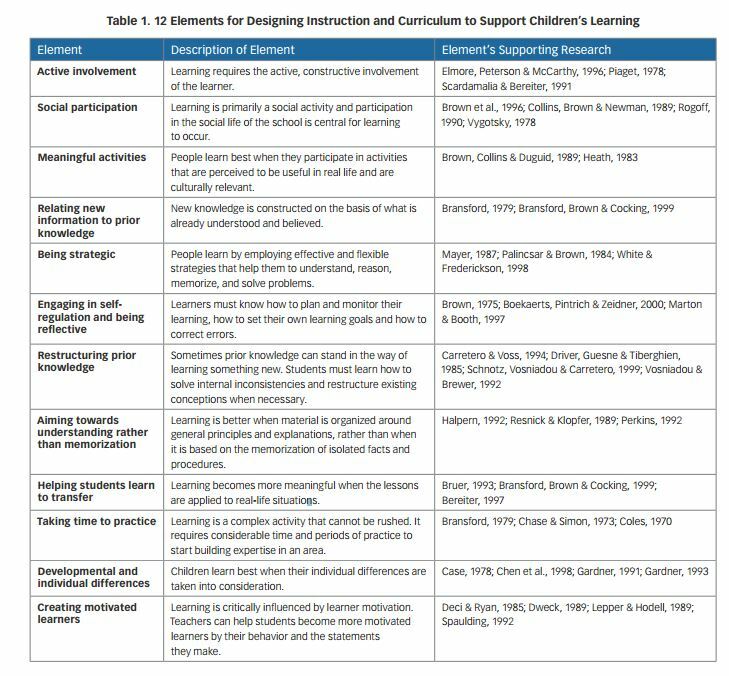 Transformative learning in the perspective of a comprehensive learning theory. Journal of Transformative Education, 2(2), 79-89. Illeris, K. (Ed.). (2009). Contemporary theories of learning: learning theorists… in their own words. Routledge.